Here you will read everything about Tiberanic's birth and how from an idea, she become a reality who slashes through the seas with one unique, magestic appearance. We need to make a comeback, to prevail! Greece was running out of ideas..
That fact was enough to put some of the richest people in Greece under thinking..
How will we get back in bussiness? And if we can, then on what aspact? Can we really prevail? We have the 2nd biggest port in the world, all the huge cruise ships are passing from our port of Pireaus.. The thing is.. we don't have any ship to prevail against these titans, although we do have the technology to even build a ship here in Greece we just need the means to do that.. and so Vasilis Mihaloliakos took the lead and started to meet many rich people.. maybe that was the answer, a Greek ship. After many meetings with the most rich people in Greece and many others, they all agreed on this.. Since we can do this, then let's just do this! economy to be back in bussiness. The richest people will pay for the meterials, the most briliant minds will combine their ideas, and the best designers will design the beatiful ship. They all responded possitive to the invitations for the project! After many boring meetings, a wide area of 500m in the port of piraeus had been reconstructed for the ship built. Now all that was left was to put all the puzzle pieces together, and as soon as possible start with the built.. in private. They hired the best crew and workers in ship building for the construction of the ship. They took inspiration from some historical designers, combined the classic with fresh ideas from nowadays ship designs and came up with the most beautiful ship ever built! They hired the best safety programmers to ensure that the ship will be the safest in the world, and of course.. most of them had to be Greeks! He offered to Google, Sony and Microsoft the chance to develop new devices especialy for the ship, and came to an agreement with all the 3 major companies. He payed a lot for that.. but it was worth it! they wanted the best of the best for the ship, and they wouldn't stop at anything in to achieve what they wanted! to man for the structure.. And again, they all accepted. They would use a combination of chromium and titanium, the hardest metals in the world and not to mention that chromium is one of the hardest matals to operate and it would cost A LOT more than regular steel, also chromium would come into many many big plates that will be put on the ship's shell, outside her regular titanium hull to increase the vessel's defense. Such metal of course, never used for superstructures on any other ship before! Due to the fact that cromium was a rare and expensive metal, they desided to also use titanium for the ship's hull. They would use 80cm titanium for the entire structure, and cover it with 20cm cromium. That will be one stainless, harder than rock wall of 1m width! Even a missile would not be able to damage the hull! Chromium is well known for it's durability, and is pretty much a god in terms of hardness! The ship will be pretty much unsinkable! For the ship's appearance he wanted to do something completely different from the other ship lines. He wanted something classic.. something that will make you say 'wow' when you look at the ship, something that every Greek will be proud of. Something that will make headlines! 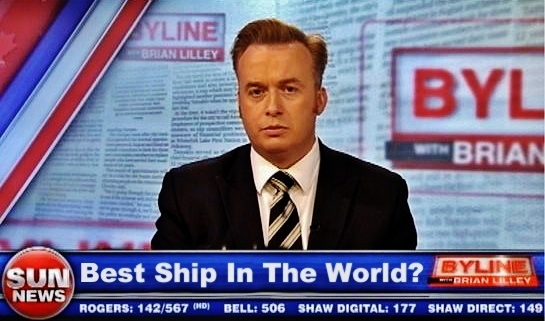 There was no question on what he was thinking for the ship's appearance, he was a long time Titanic fan so it didn't took him long to decide her appearance with the designers.. He would use a combination, past and future..
past for the ship's appearance and future for the ship's features! The days were passing and Greece as well as the other countries in the world were waiting for anything that had to do with that ship to be published. Almost everything, even the little news were top secret and even the ship itself that was already being build behind the port was unknown to the public. Sony, Google and Microsoft started to developing what Vasilis had ordered from them..
Everything was already in motion and was going smoothly. According to Vasilis's plans the ship would be ready to sail in just 3 years! While everything was going well in Greece and the ship's started to taking shape behind the port of Piraeus, ship lines worldwide started to worry.. The competition with the best ship in the world wouldn't be an actual competition and there was no doubt for that, if the little details that Vasili's shared with them so far were real then ALL the other ships and their lines worldwide will come second and third.. other would come 4th and so on, with Tiberanic being always 1st, and locked there for long, long time. They had to do something quickly to overcome this threat but with the fact that Vasilis's had share ONLY a few things about his pride they weren't certain! There was going to be competition no matter what, and Vasilis's was actually looking forward to that because after Tiberanic's launch that competition would be as easy as pie to overcome. The first company who show interest to Vasilis's ship was also the one to feel threatened, a major ship line that is well known all over the world thanks to their 2 very famous cruise ships.. let's take a closer look at that ship line..
Cunard is the prowd owner of two from the best ships in the world but only one from them was actually able to match Tiberanic's greatness. QM2 is Cunard’s flagship and the most magnificent ocean liner ever built. With her massive lenghth of 345m. long and her unbelievable luxury as well as her endless entertainment onboard! She offers so much space on board and such an array of state of the art facilities including a 3D Cinema, planetarium and a superb spa. 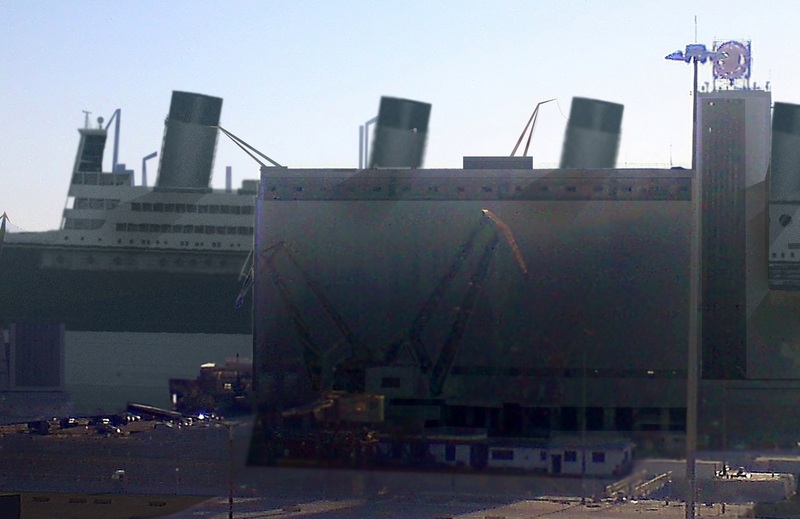 Although Tiberanic was offering more than QM2 onboard, QM2 was much bigger. She was 8 metres taller, 6 metres wider and 59 metres longer than Tiberanic and that's a big difference, that was the only ace that QM2 holds against Tiberanic.. her massive size. Qunard Line would not give up so easily on the competition and offers to Vasilis a large amount of cush to purchase Tiberanic's build plans to see with their own eyes if Tiberanic was a match to their queen, but vasilis rejected their offer with a heavy heart. He put so much love on Tiberanic the last two years of research and development to give up his secrets so easily to any other. 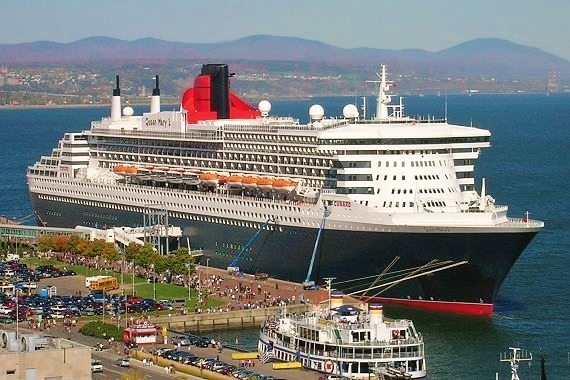 But cunard did not stop there, it's been 2 months since when Vasislis rejected their offer and Cunard Line offers to vasilis another offer that was very hard to reject this time.. They offered him a larger amount of cush and a chance to work alongside Cunard Line in the future. 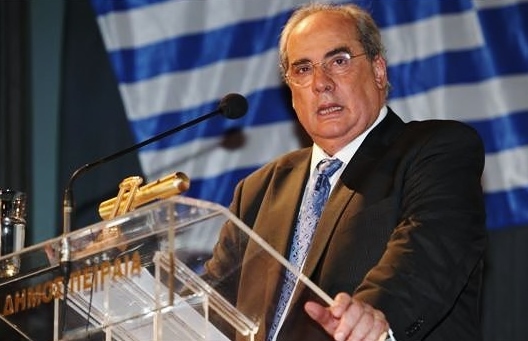 This would ensure Tiberanic's success and future and NOT under Cunards name, Tiberanic would still hold up on her own name without any other owner than Greece and Pireaus. Vasilis asked for some time to think about it and he had another meeting with the people that were working behind Tiberanic. Vasilis could not hide his sadness because it was a great offer, no one would be stupid enough to reject an offer like this and after all.. The ship will still remain under Greek ownership without anyhting added on her by Cunard by only a flag with Cunards Line name on Tiberanic's 1st mast and that was it. Vasilis will still have the right to add a Greek flag and any other flag he like on the ship. It was a hard decision, some agreed, some didn't and a few asked for a couple of weeks to thing about it because it was indeed hard to decide, it was Tiberanic's future they were talking about.. they couldn't reject such an offer so quickly that was ensuring a stable future for her. Of course Vasilis was against it, but he wanted a fair voting with everyone to make one final, fair decision even if likes it or not, he wasn't alone in this.. The voting is done, the agony raises and Vasilis says a big NO to Cunard Line and their offer in public in front of people and TV reporters. "NO! Greece is only just a few steps before being all famous again with our very own Royal Greek Cruise Ship Tiberanic, the best ship in the world! Cunard Line maybe has the means and the money to purchase the entire world but NEVER something that Greece owns, period!" This speech within hours was already in dozens of websites throught the world and Cunard Line soon got the message. The announcement of Tiberanic was the next day's major new, TV news worldwide shared the news very soon as well as numerous radio podcasts, newspapers, magazines etc did! and puplish them online in many websites..
"Tiberanic was indeed one pure, breathtaking diamond"
By the beggining of the next year many people were already visiting Piraeus port because they wanted to take a look at Tiberanic, but the area that the ship was being built was off limits to the public and that was making things somehow difficult (only a few managed to pass unoticed and enter the restricted area, but they were experianced on this, and were hiding). It wasn't a surprise to Vasilis that this was happening, he didn't really care because Tiberanic was already known around the globe. 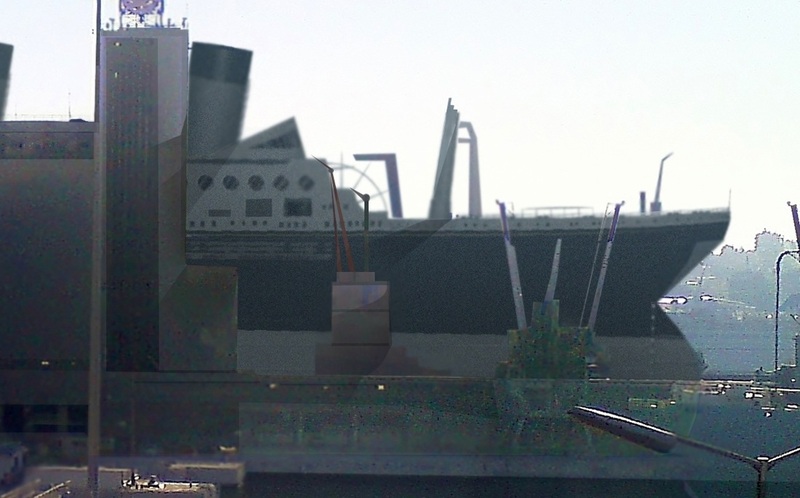 The days were passing and the ship was already visible from outside the port because of her funnels and her length, the funnels were taller than the Drapetsona's clock tower, which was 58 metres tall.. it was something impressive to the people that were passing by, they were even taking photos of her glory. The ship was that beautiful and not only Vasisils was all proud for her but everyone that was seeing her there was feeling the same.. and Tiberanic started to become Pireaus main attraction thanks to the media. Soon Vasilis released more news but the most important of all was the all waited date for Tiberanic's launch and of course, the news about the event went worldwide within days and all the major ship lines show interest on this. for her first time! Vasilis was now certain that his wish was now a reality!